Kina Grannis is an American pop singer and songwriter who gained fans and popularity through her YouTube account. She is among many stars who didn’t waste any time finding their true dreams. Her passion for music developed at the age of fifteen and she seemingly kicked off right, singing in bars and coffee shop. With fame in mind, she gave it all and was able to draw millions of listeners around the world in a short time. Her safe landing to fame came when she won the ‘Doritos Crash the Super Bowl’ an online musical competition in 2008. Since then, Kina Grannis has been exceeding the expectation of fans. Would you like to know about her Kina’s life, ethnicity, age, and height? Keep reading to find out. Kina Kasuya Grannis was born on the 4th of August 1985 in Mission Viejo, Orange County, California, United States. She is known to be of half Japanese and half European descent. The musician grew up in a middle-class home; her father, Gordon, is a European who worked as a Chiropractor while her mother, Trish, is a Japanese professional graphic designer. Growing up, she was well loved and adored by her two siblings, Misa and Emi. Kina received her primary education in Viejo Elementary School before moving to Capistrano High School where she later graduated from. She then obtained her degree in social studies with a specialization in Psychology from the University of South California. The singer had a great love for music bottled up inside her while growing up. Given that she was always shy to share or talk about things, she resorted to songwriting for pleasure and to pour out her personal thoughts. To improve this skill, she started learning how to play the guitar by herself. Her relationship with composing and writing songs was noticed while in High School, and she was chosen by Thornton School of music to compose a six-song Extended Play (EP) released in 2005. Kina Grannis then proceeded to post her videos on YouTube and fortunately, her first video upload ‘Message from Your Heart’ had over a hundred million viewers. This went on to win her a cash prize of $10,000 in Doritos Crash the Super Bowl contest and a record deal with Interscope Giffen A&M Records. As time went on, Kina felt the need to push her boundaries, so she left the record label. Her popularity grew with every effort she put into her career. Her first single album titled ‘Stairwells’ was released in 2010. Grannis once more exceeded fans’ expectations during her first world tour in April 2011, performing in the eastern regions of Canada and in the southern regions, without recording any flop. The star stretched her journey through the northwest region of North America. Of course, her verve in the music sphere has won her notable awards, one of which is the Sinus/XM Coffee House’s 2010 Singer-Songwriter Discovery of the Year. In 2012, she had a successful year with her triple winning as MVPA Best Animated video, MVPA Best Special Effect, and Channel One New Artist of the year. She was also awarded the Best Web-Born Artist at the 2011 MTV O Music Award. On top of that, Kina Grannis fed her slight appetite for acting. She starred in a miniseries by Wong Fu Production titled ‘Funemployed’ as Judy, also in a romantic film ‘The Last’ (2012), and in a web series titled ‘Singles by 30’ which was released in 2016, among others. 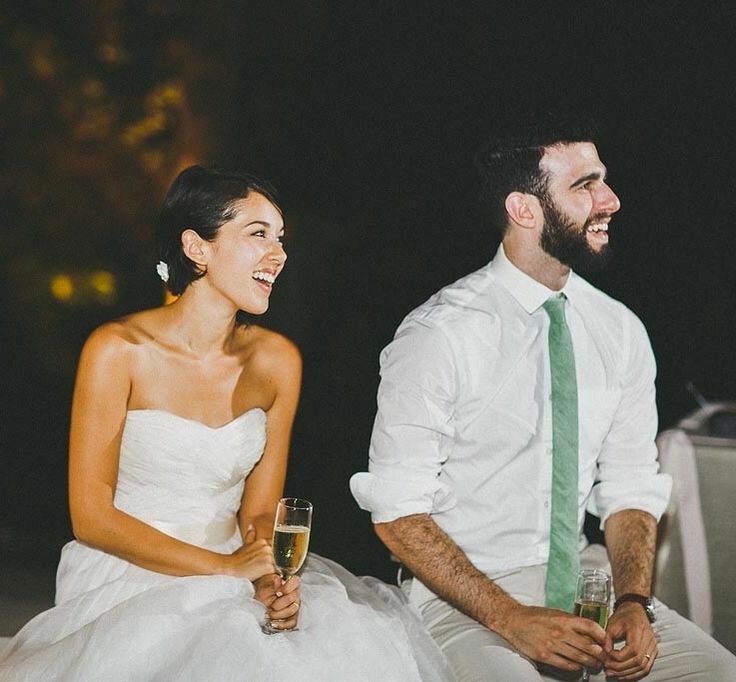 Kina Grannis and Jesse Epstein were deeply bonded since their days in High school, though they managed to keep their affection for one another away from the public. Their chemistry grew stronger even as they worked and toured together as friends. With the couple becoming fonder of each other, Jesse took the bold step of asking Kina to marry him on Valentine’s Day 2013. On August 31st, 2013, Kina and Jesse got married in a modest ceremony in Los Angeles, California. Early September 2018, rumor had it that the couple was expecting a baby; Kina did not immediately confirm or deny this rumor but avoidance of wine in various outings left telltale signs that their family could expand soon. Being in the entertainment industry, it’s not surprising that Kina is in great shape. The musician currently stands at a height of 5 feet 4 inches and weighs a commensurate 54 kgs. Details of her other body measurements are not available at the moment.